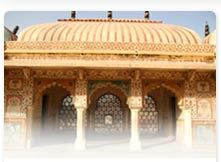 Jaisalmer is one of the India's most precious jewels. 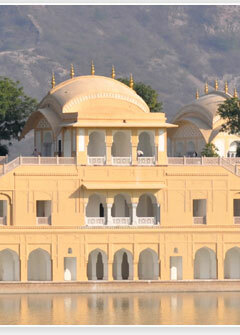 Fortified in golden stone, it rises like a mirage from the barren Thar desert of Rajasthan, its 99 bastions silhouetted against the sky. Located on the trade route that carried spices and silks from Arabia, Persia and Central Asia to India, the 12th century fort is an architectural feat. 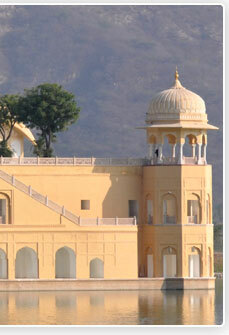 Within its monumental walls stand intricately carved sandstone palaces, temples and havelis (merchant houses), alongside traditional adobe homes. Air : The airport is open only during the high season, from 1 October to 31 march. 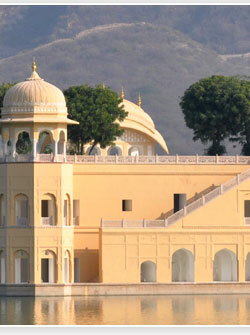 There are three weekly flights between Jaisalmer and jodhpur, Jaipur, Udaipur, Mumbai. Train : Trains from Jaisalmer are available up to Jodhpur. From Jodhpur one can get a railway connections to other destinations. Road : Located near the railway station is the main Roadways Bus stand. 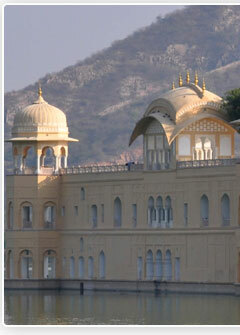 There are frequent buses moving to Jodhpur, Jaipur, Bikaner, Ajmer, Mount Abu, Udaipur and Delhi.